Download "ArcGIS 10.2 Student Version Installation Instructions"
1 ArcGIS 10.2 Student Version Installation Instructions 1. Open a web browser and go to: 2. Next, enter your Esri Global Account username and password. If this is your first time working with Esri software, select the option to Sign up for Your Free Esri Global Account and go through the steps to generate your own Esri account, then log in. 3. Once you have logged in, type in the activation code for ArcGIS This is the 12-character code for your software it starts with EVA (this code is either on your DVD case or was sent to you via ), then click Activate ArcGIS. 4. 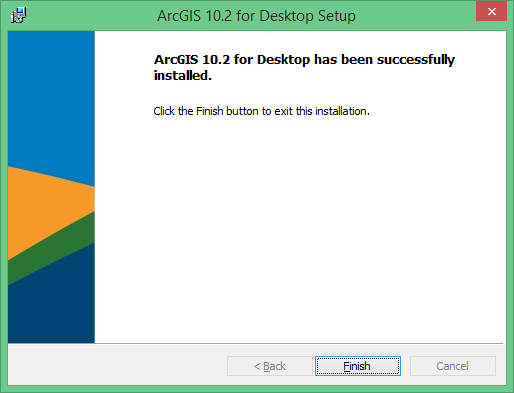 The next screen will allow you to begin installation of ArcGIS 10.2 for Desktop. If you want to install the software directly from a DVD, don t click anything and move to step 5. 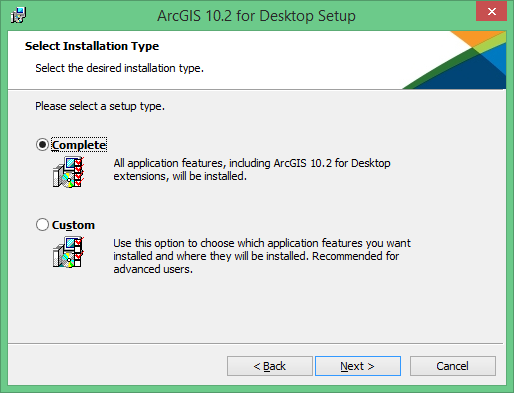 If you wish to download the software and install it, click the option for ArcGIS 10.2 for Desktop. 2 5. If you re installing from the DVD, insert the DVD in the computer s drive. When it reads the DVD, a menu screen for installation should appear. 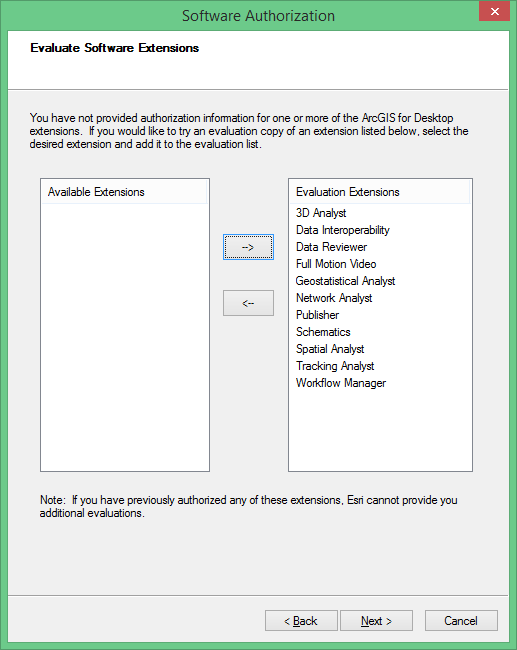 Select the option for ArcGIS for Desktop Setup. Note that if you are installing from the downloaded version, run the executable file you downloaded now to advance to Setup. 6. 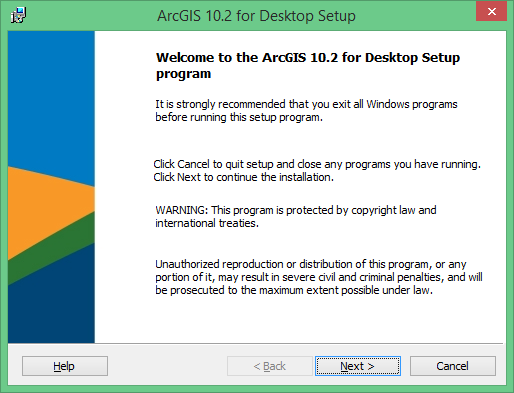 At the Welcome to the ArcGIS 10.2 for Desktop Setup program screen, click Next. 3 7. Accept the license agreement and again click Next. 8. For the Select Installation Type, choose Complete and then click Next. 4 9. On the next screen, you can change where you want to install ArcGIS 10.2 for Desktop. To install to the default location, just click Next. 10. 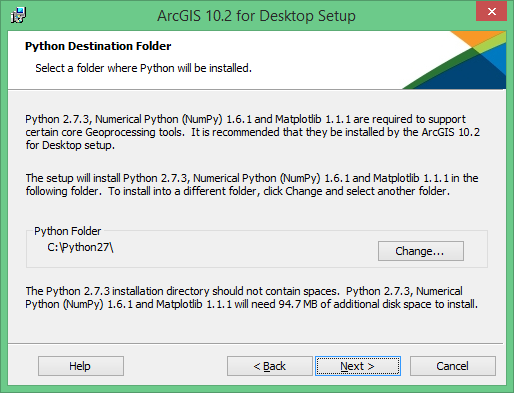 On the next screen, you ll also install Python 2.7 (a programming language used with ArcGIS). To install to the default location, again just click Next. 5 11. On the next screen, click Install to begin the installation of ArcGIS on your computer. This will take a few minutes. 12. When ArcGIS completes its successful installation, click Finish. 6 13. 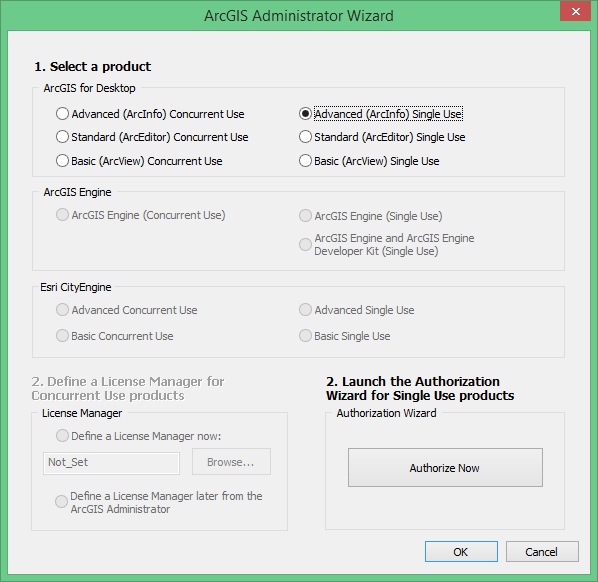 The ArcGIS Administrator Wizard will now open. a. Note if the Administrator Wizard doesn t open on its own, you can select it manually in Windows 7 from All Programs, then ArcGIS, then ArcGIS Administrator, then click on the Desktop option, or through Windows 8 by selecting the ArcGIS Administrator tile. 14. Under Select a product, choose the option for Advanced (ArcInfo) Single Use. 15. Click on the large Authorize Now button. 7 16. 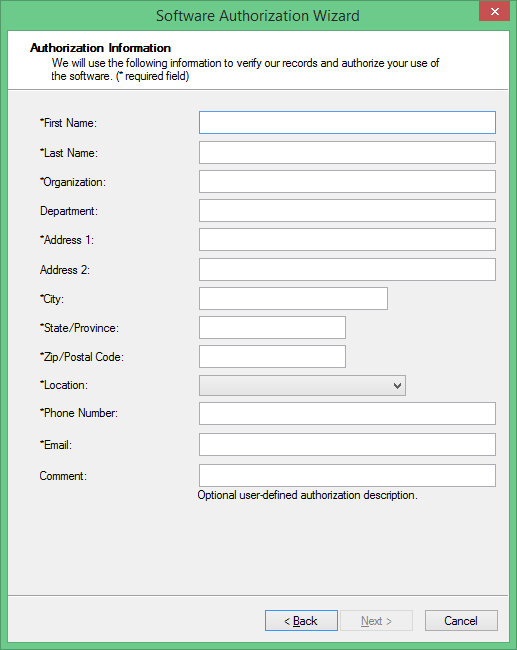 In the Authorize Options dialog box, select the radio button for I have installed my software and need to authorize it. 17. Click Next. 8 18. 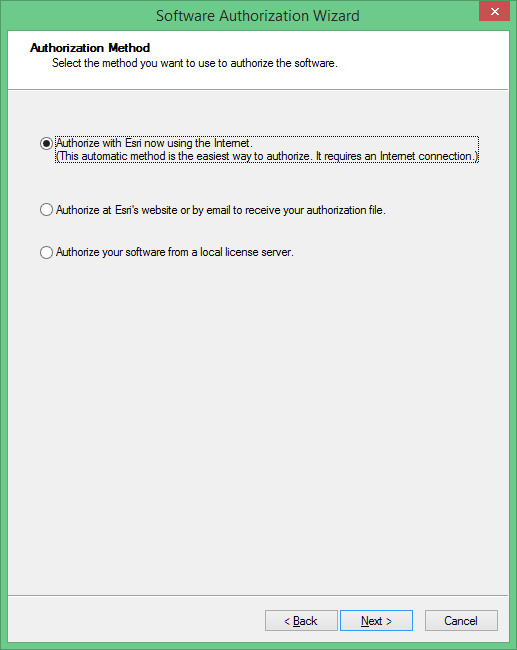 In the next menu, select the radio button for Authorize with Esri now using the Internet. 19. Click Next. 9 20. On the next menu, fill in all the necessary information (those entries that have an * next to them are required and you will not be allowed to advance further until you fill them in). For Organization be sure to fill in the name of your school. 21. When all necessary fields are filled in, click Next. 10 22. For Your Organization, choose Education-Student. 23. For Your Industry, choose Higher Education. 24. For Yourself, choose Student. 25. Click Next. 11 26. On the next screen, type in the 12-character authorization number (it s with the DVD sleeve or you received and is the same number you entered on Esri s website back in step 3 it starts with EVA). 27. Click Next. 12 28. On the next screen, select the radio button for I do not want to authorize any extensions at this time. Don t worry the extensions will work okay after you complete the installation. This part is used only if you have separate authorization numbers for each individual extension (which you don t have the single EVA authorization code you ve been using will be fine to activate everything all by itself). 29. Click Next. 13 30. 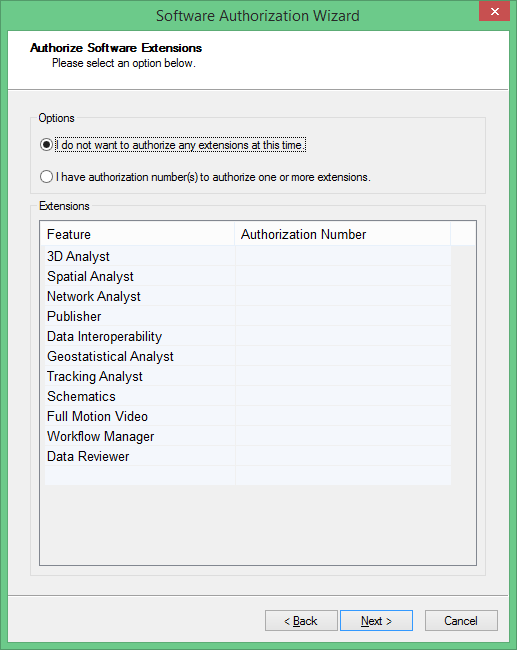 Next, highlight all of the extensions on the left-hand panel under Available Extensions (we will only be using 3D Analyst, Network Analyst, and Spatial Analyst in the book, but you may as well authorize all of them). 14 31. Press the button for the arrow key that points to the right. 15 32. Now all of the selected extensions will move to the right-hand panel labeled Evaluate Extensions. Once all extensions you wish to activate are in the right-hand column, click Next. 16 33. ArcGIS will complete the installation procedure and set up all the extensions for use. Give it a couple of minutes and when the process is done, click Finish. 17 34. The ArcGIS Administrator tool will open. Click on the Availability folder and you should see everything confirmed that you are running the Single Use Advanced license of ArcGIS 10.2, and all the available extensions are active (it should note that it will expire in a year s time from the date of installation). 35. Click OK to close the ArcGIS Administrator. 36. 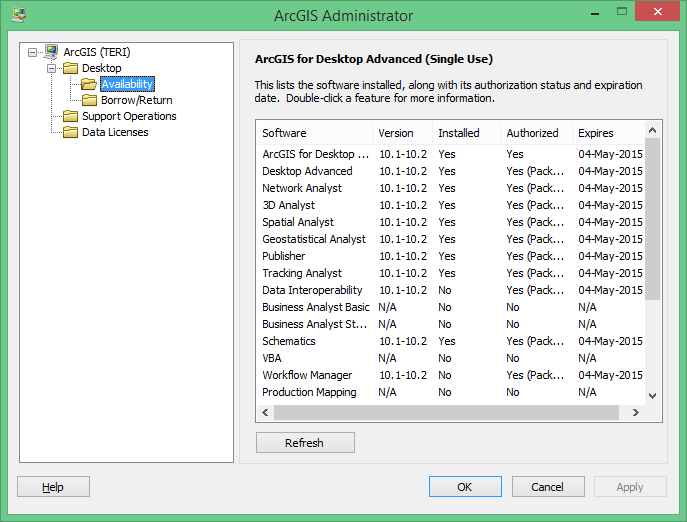 You can also run the install for the Data Interoperability extension that is available on the DVD (or through download) when you installed ArcGIS for Desktop, you authorized its use, but did not install it. This is a separate file that you can install. 37. The Tutorial Data for ArcGIS is a separate DVD in the case (or also as a separate downloaded file) if you want to install it for your own use, go ahead, but we will not be using it with this book. 38. Finally, start ArcGIS for Windows 7, under the Start menu, choose All Programs, then choose the ArcGIS folder, and finally choose the icon for ArcMap. For Windows 8, select the ArcMap tile. ArcMap should start up okay, all properly licensed. 39. 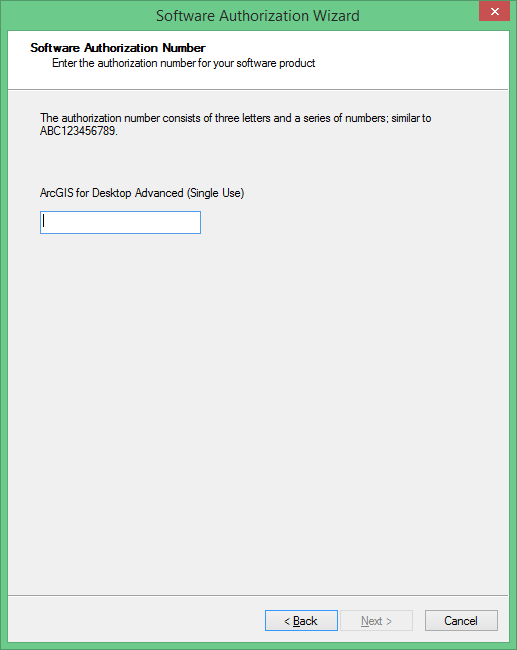 Important Note: If ArcMap does not run properly after all these steps (and if it gives an error with the error code 7174), go to the following website, login in with your Esri Global Account: and follow the prompts, entering your EVA number when prompted. Then return to Step 13, manually open the ArcGIS Administrator, and start the install process over from there.